A recent article in the Chicago Tribune, Good Carb, Bad Carb, caught our eye because of its title “Good Carbs, Bad Carbs”. Carbohydrates, to remind you, are one of the three macronutrients making up almost all foods, alongside fat and protein. Over the years both fats and carbs have been vilified and exonerated, to the point where it seems today there is no agreement in the scientific community on their health benefits. So what are we to do with all this confusing information? The truth is that the majority of nutrition researchers today agree that fats as a group are not bad, only certain types are. And the same goes for carbs. While highly refined carbs such as sugars and enriched flours are “bad carbs”, there are certainly entire groups of good carbs, mostly fruits and non-starchy vegetables. So for example, soft drinks are bad because they contain no fiber, they spike blood sugar, and they are simple carbs in liquid form. A tomato, on the other hand, has fiber, low glycemic index, and is a complex carb in its natural state. So now everything is clear, right? Not so fast. Some carbs are still undecided because they may be good in some of the 4 criteria but bad in others. Take potatoes for example. Not in their french fried mode, but baked in the oven. They are a very cheap and good source of nutrients, including fiber. But they have a high glycemic index despite their carb structure which is why they are hotly argued. Interestingly enough, sweet potatoes don’t spike blood sugar as much as white potatoes, despite their name. 1. Spend more money in the produce aisles than in the processed food aisles. 3. 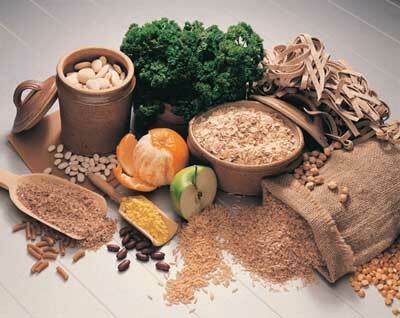 When reading nutrition labels, do the carb ratio test: The total carbs to fiber ratio should range from 10 : 1 to 5 : 1 . That means around 10-20% of the carbs are fiber. 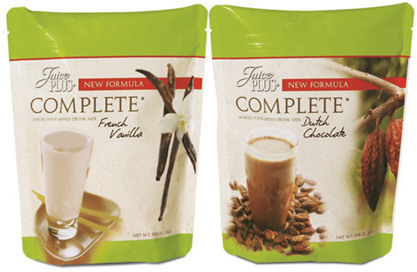 Juice Plus+ Complete is our whole food-based drink mix that offers significant nutrition per calorie, with healthy carbs (and protein): our all-natural plant sources of slow releasing, low-glycemic index carbohydrates include quinoa, amaranth, and millet in a proprietary blend of “ancient grains” that have been cultivated for centuries. Juice Plus+ capsules contain only 1.5 calories each, mostly from the fiber. Together with Juice Plus+ Complete they have proven over many years to be great for diabetics and others concerned about the sugar in their food. If you haven't tried Juice Plus+ Complete yet, then now is the time - just let us know and we'll get a box shipped out to you right away. We love it and we know you will too!